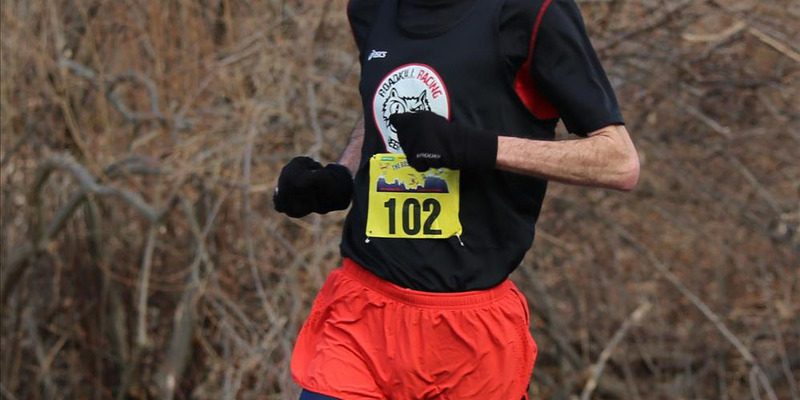 Last weekend was my second race of the year, the Boston Prep 5 Miler. 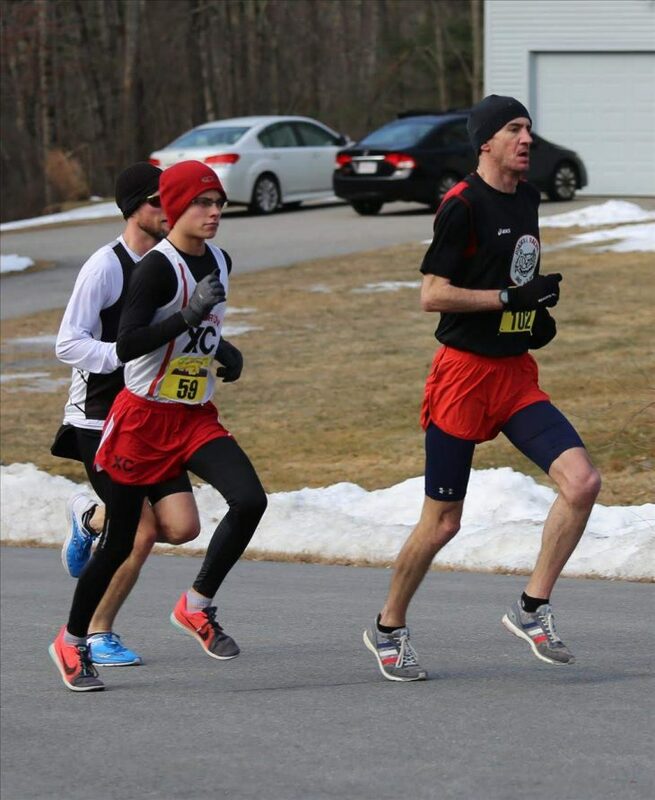 This is an add on race for the Boston Prep 16 Miler. Everyone starts at the same time, then about 1 mile in the 5 milers go left and the 16 milers go right. Just before the split I was in 8th place, but all but 1 of the runners in front of me turned right, leaving me momentary in 2nd place. I did my best to fight off 2 runners (pictured above) who were right on my shoulder for the next few miles, but about 3 miles in they both pushed pass me. I was feeling pretty gassed by that point, as most of the race had been uphill, but I realized too late that the last 2 miles of the race where downhill, and I should have gone with them. They held the 20 second or so gap they opened up for the rest of the race, and even a finishing 5:20 mile wasn’t even enough to make up any ground and I probably lost a few seconds to #59. It is worth having some knowledge of a course before you race it, but even going in blind I was able to run my best 5 mile in almost 4 years. I finished in 4th place (first 40+) in 28:20. Now for the bad result. I felt good during my cool down. I shuffled around for a few miles before grabbing some post race food and heading home. I woke up the next morning feeling fine, and went for my morning run at 6:30 am. By 6:40 I was feeling some tightness in my patella tendon. By 6:45 it was hurting. I should have just walked home at that point, but instead I stretched and went for another 15 minutes. I knew by the end of that 4 miles I had screwed up. I took Tuesday off, then on Wednesday I did a mile on the treadmill and 10 minutes on a recumbent bike. I then got back on the treadmill to do another mile, but cut it short after a 1/2 mile when my patella tendon tightened up again. 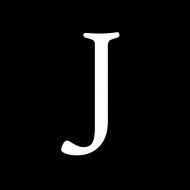 I decided to shut it down for a few more days, and will give it another shot on Saturday. I really was in need of sometime off anyway, since the last time I took off was last March when I hurt my back. If it isn’t cleared up on Saturday I’ll have to make an appointment with my active release guy. 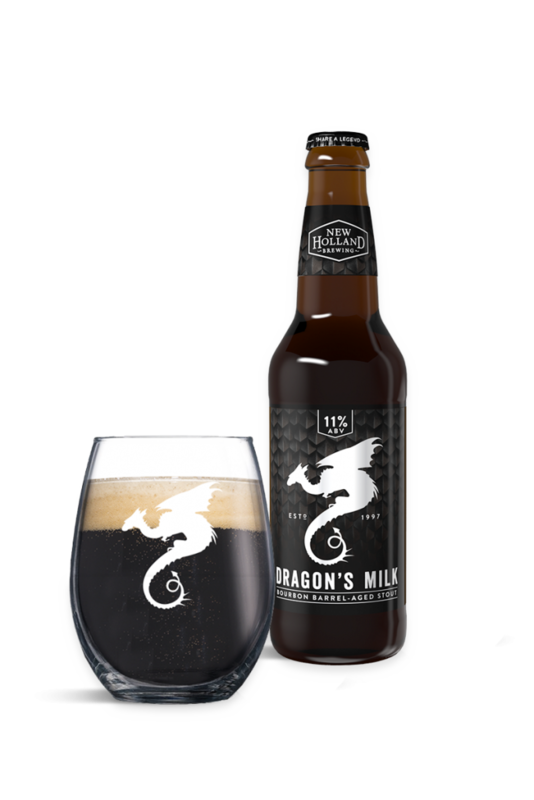 In the meantime I’m enjoying some Dragon’s Mile Stout, which is delicious and I highly recommend you try some. Warning, it has a bit of a bite.